Any Questions, please Click Contact , Thanks! 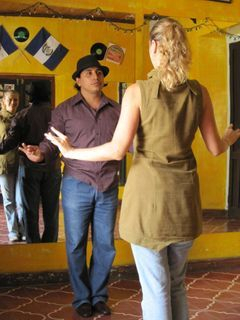 Private dance lessons help you improve your dancing skills quickly. This is the most effective way to learn leading or following techniques. Private lessons provide a customized and personalized teaching plan to meet your goals, the teaching method is based on your current level and skill with individual attention from the instructor. Convenient daytime and weekend appointment times are available with the instructor. The lesson is 50 minutes long. Please click here to make an appointment for Private dance lesson. Private Lesson Package: This is a very flexible and valuable option. Purchase the private lesson package and enjoy Free evening group dance lessons & parties on Monday, Tuesday, Wedneday, Friday and Saturday. Private lesson package is valid for six months from initial purchase. 20% off for beginners and those selecting not to join FREE group lessons/parties. For dance beginners: If purchasing the 5 lessons package, you pay $300. You can enjoy 5 customized private lessons and 5 weeks of free evening group dance lessons & parties (except for special sessions organized by guest instructors). 2. pay $300 and take group lessons & parties by purchasing a Punch Card or just pay $10 drop-in charge for each lesson/party (this option is good for people who cannot regularly join group lessons/parties often). If you have any questions, please send message to us!